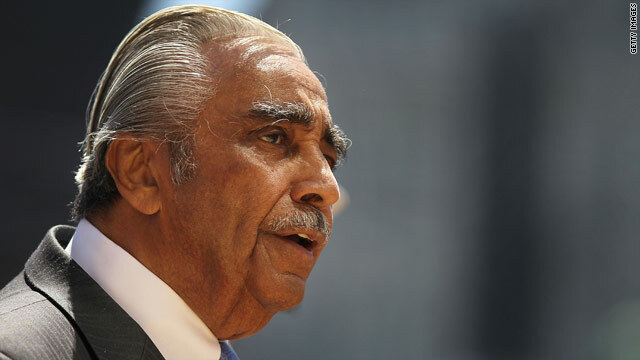 Rangel: What would Jesus do on the debt talks? Washington (CNN) - Veteran Democratic Rep. Charlie Rangel made an impassioned plea to religious leaders Friday, calling on them to lobby members of Congress and the Obama administration to remember the "lesser of my brothers and sisters" during this weekend's debt negotiations. "What would Jesus do this weekend? Or Moses. Or Allah. Or anyone else," the New York congressman said at a press conference on Capitol Hill. "I don't want this book (debt negotiations) closed without the clergy having an opportunity to forcefully express themselves as well as I know they can do." Top congressional leaders and the White House have been steeped in contentious negotiations over raising the nation's $14.3 trillion debt ceiling.Treasury Department officials, along with top economists, warn that a failure to raise the limit by August 2 could lead to a global economic crisis and dire consequences for the U.S., including skyrocketing interest rates and a falling dollar. Rangel said he was stumped as to why Washington wouldn't be "besieged by spiritual leaders saying 'do what you have to do - but not to the homeless, the jobless and the helpless. Not to the sick. And certainly not to the aging that are sick or those depending on Social Security, Medicare and Medicaid.'" "I have not heard from those people who have been called by God to protect the poor. I haven't heard them," he said. "The issues that are going to be discussed this weekend involve spiritual, moral issues." Sue I wouldn't worry about seeing Republicans in Heaven if I were you. I would worry more about whether you were going to be there instead. Something is herently wrong when we spend, spend, spend for wars but we can not take care of our OWN! Amazing how that "wall of separation" is oh so thin when it is politically expedient. Does he really want to ask, What would Moses do? Has he read the law of Moses? Has he read the Koran? Or is he just speaking ignorantly, hoping no one else has? Mr Ethics violations has the audacity to act morally righteous on this? Sue, are you saying Obama is 'god'? I realized Obama had disciples who loved him with all their heart, all their soul, all their mind, and all their strength, but this is becoming insanity. By the way, not sure what religious book you are reading, but where does the Bible (Old or New Testament) or the Koran speak to "when we get to heaven..." I have read these books and there is no such reference. I think it is legend, like "God helps those who help themselves." The hatred in American politics is unbelievable and, I believe, it is far worse from the Left than the Right. As one who rejects both parties, I am amazed at the utter self-righteousness that people dress themselves up in.